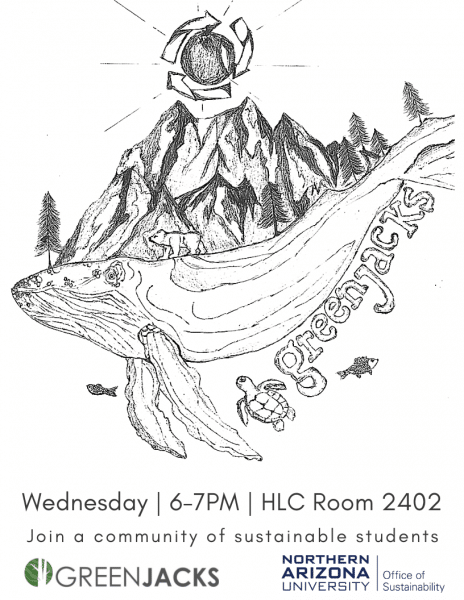 Green Jacks, the student environmental club at NAU, seek to create a culture of sustainability on campus. Every student, faculty, staff, and administrator at the university can be a Green Jack. If you are interested in the environment, the outdoors, or sustainability, come join us! We meet Wednesdays at 6PM in the HLC room 2402. Stop by for free food and a fun time.